M-Audio’s Hammer 88 is an affordable, fully-weighted, hammer-action keyboard for professional and semi-pro players or students looking for a realistic grand piano feel to use with virtual instruments or sound modules. 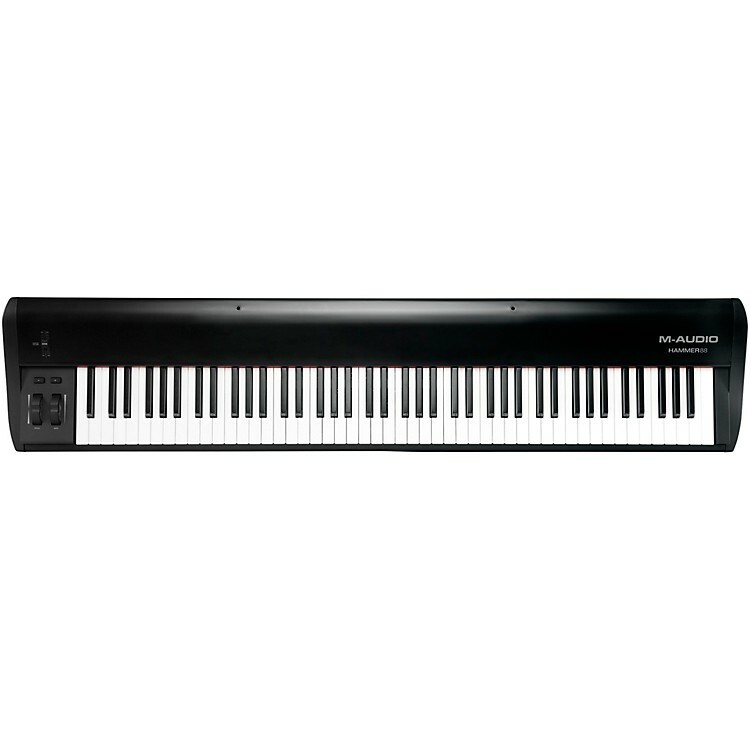 It features fully-assignable MIDI buttons, pitch-bend and modulation wheels, sustain pedal, secondary pedal and expression pedal inputs—while providing a clean aesthetic for players more concerned with compositional accuracy than editing and tweaking. Hammer 88 is USB-powered, class-compliant, and supports USB-MIDI connectivity. Plus, Hammer 88 supports iOS connectivity with the Apple iPad Camera Connection Kit (sold separately), enabling you to perform and compose with audio apps on your iPad and other iOS devices. Powerful functions, bundled software, great action.